Finishing off my day of Elara championing I whipped her out with the Rahn list and her very own arc node to see if I could make use of Convection through feat or even help with an assassination. Guy who yells at people to stand up, again. 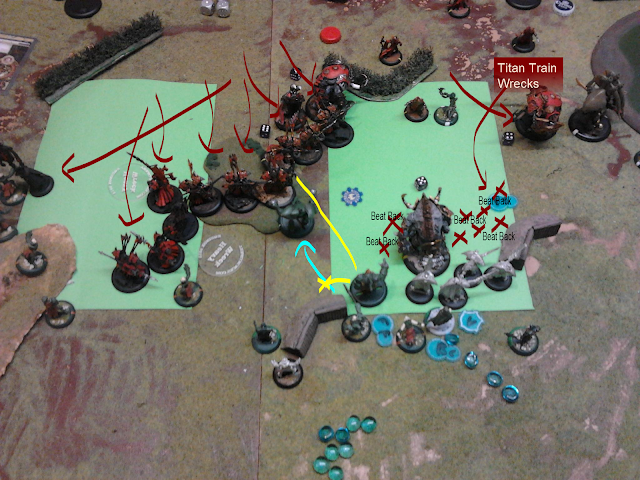 Early on the catapults start firing at my Mage Hunters, after the first turn Rahn puts Force Field up and direct all incoming blasts to the Artificers front desk. 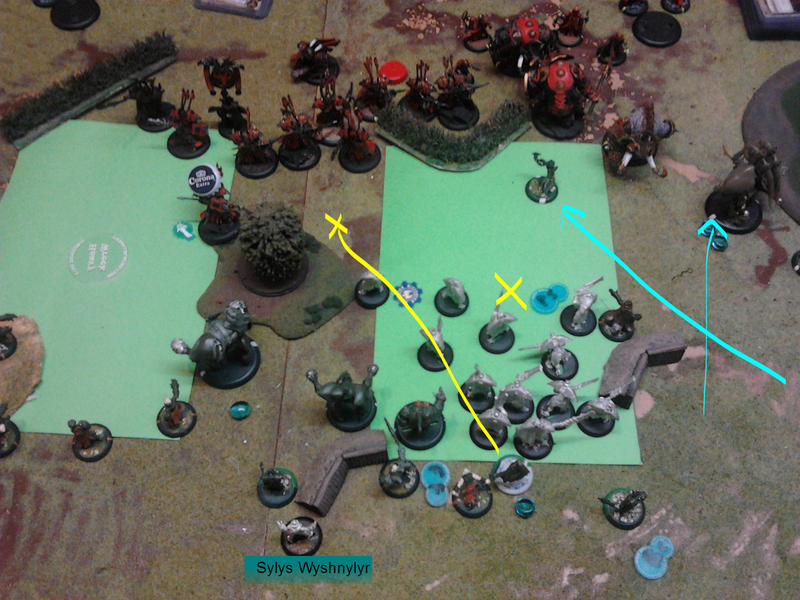 Missing picture again, Skorne shield walled and walked into the zone. Between this pic above and the one below Rahn feats and with Sylys Tk's the Bronzeback out of the zone facing it backwards. The Artificer zots one of the Cetrati that are in a three man shield wall and uses the Magno Blast to push the other 2 out of the zone and the Magister Force Bolts the Titan closer to him hoping the Phoenix will be in range. Xerxis has Inhospitibal ground up so the Sentinels wreck the Objective. The Arcanist feeds the Phoenix a Focus and Elara Convections one of the previously pushed Cetrati to give the Phoenix another Focus. The Phoenix now charges the Titan who was brought closer by the Magister but is ever so slightly out of range and fails its charge. A mage Hunter Assassin however charges it and puts on 14 points of damage. 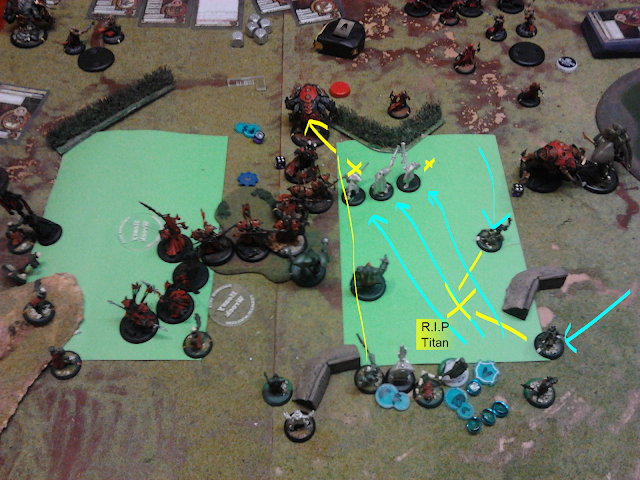 On the left Flank the Battle Mages take out 2 Cetrati. Clearing the zone and taking the Objective nets me 3 points. 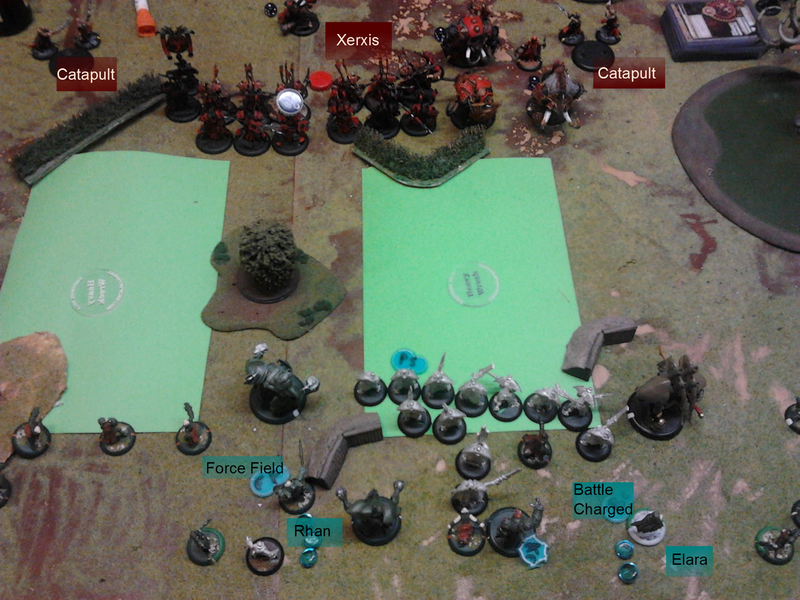 So Xerxis feats and his army advances. Starting from the left of the image the Cetrati advance with the Guy Who Yells At People To Stand Up and they kill half of the Battle Mages. 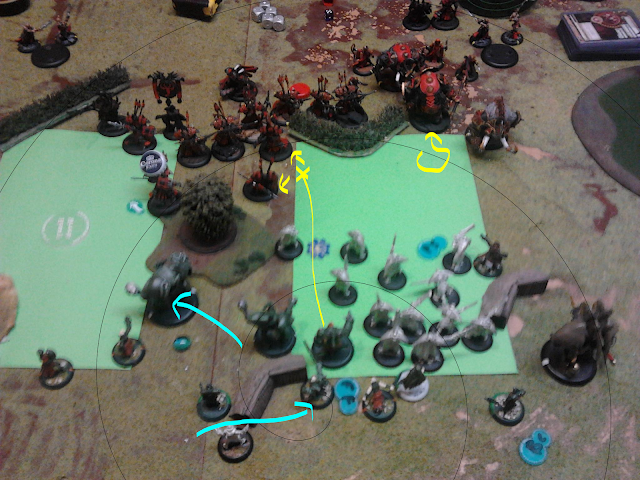 One Cetrati shoots for my Artificer so I Shield Guard it with the Asps and he pulls the Aspis in and kicks it for a good chunk of damage. The Titan gets Train Wreck and train wrecks through my sentinels. His other Proxy thing that's not tiberion misses my Phoenix an unbelievable amount of times and only takes out its shield boxes. Time for Rahn to shine. I almost got to try what I wanted with Elara but I screwed up with the Phoenix, like I have done in a few games with my placement and I didn't make the most of it. None the less she still did something and has seemed to prove quite easily that she will run one jack with a decent gun with very little trouble, or without much to worry about. A guy who hates magic and dual wields horribly improbable blades. Thankfully there is also the forum community opinion of "When life gives you Lemons..."
Jam them in their eyes and make some sweet Thai Lemon and Crab Salad that hates all magic, is hot and has an answer for everything.